In this chapter, we’re going to cover the main ad types that you can use for your ecommerce store. 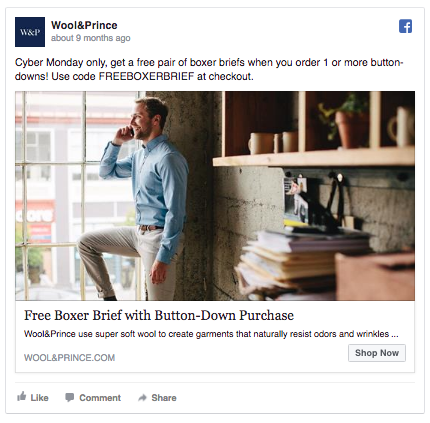 While the types of Facebook ads can get overwhelming, concentrate on these 8 types for your ecommerce store. 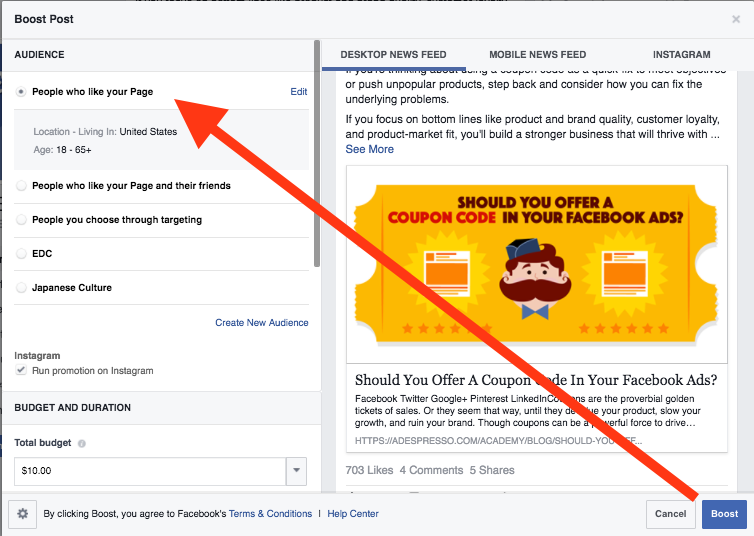 To see different ad and placement types, make sure to check out the Facebook Ad Gallery. Should You “Boost” Your Posts? Most ecommerce owners first forays into advertising involves boosting an existing post. 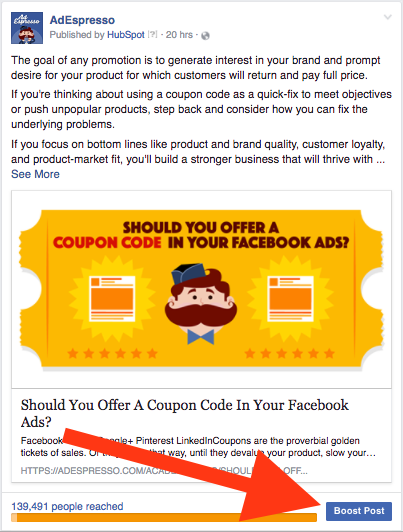 This is the most simple type of ad: you advertise an existing organic post on your Facebook Page. You have to “manually” hit Boost - taking up time. You have very limited targeting abilities: you can only choose demographic data to target and interests. Note, boosting posts has been quite interesting for Facebook Live Video. You can’t boost it when live, but after it is recorded/uploaded, you can then boost it. When using Facebook’s in-house system to Boost, my recommendation is to look at the “Boost” as a tool for engagement with your existing Page Fans. This works for two reasons: a) it’s your existing audience, and it’s a way of reminding them you are still here (for upsells) and b) you can test to see which type of content your audience audience likes the most. Such engagement can be used as a method of market research to fuel more advanced advertising campaigns later on. If you find the limited targeting - along with the manual button pushing - time consuming, our software enables automated “Boosts." This means you can set more advanced targeting (Chapters 5 and Chapters 6), choose what types of posts get an automatic Boost, and relax. Simply check on it once a week to make sure it’s all still running smoothly. This will be either a Desktop or Right-Column ad. These are also known as “Domain Ads” or “Page Post Link Ads,” but all you need to know is that it’s a single image ad, with an optional text description above, and a link description below that links to your website. 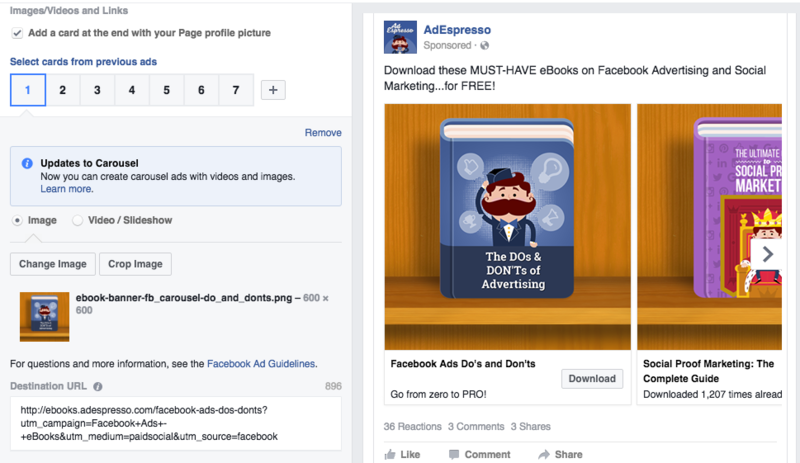 This is the most used ad format on Facebook, and for good reason: it works. With your Facebook Pixel installed correctly on your site, every visitor that clicks can be logged and retargeted on Facebook later. Multi-Product Ads were rolled out in 2015, and there’s one thing that’s clear: it’s great to see which product your prospective customers are most interested in. 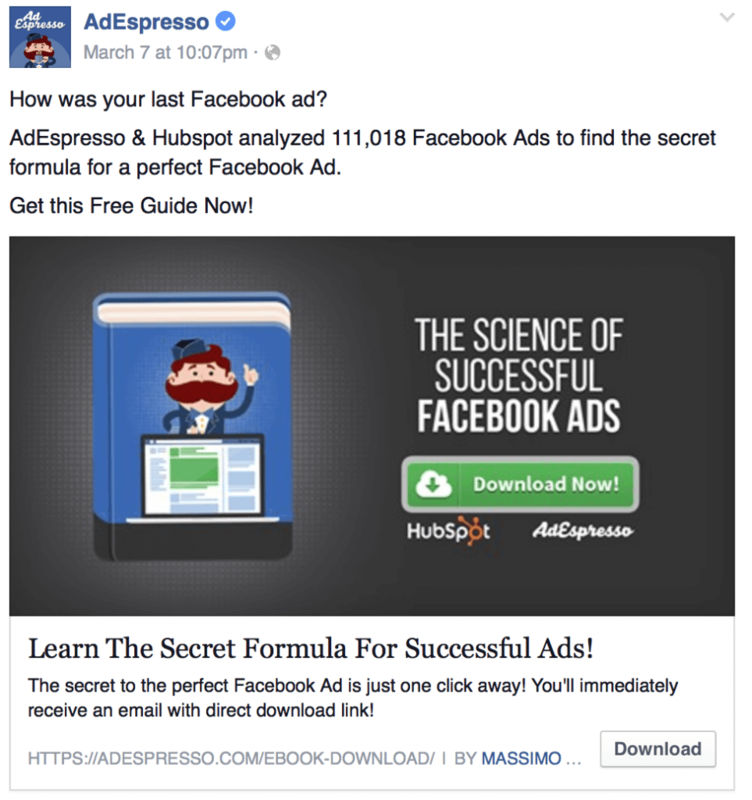 Facebook can automatically optimize your ad to have your “most clicked on” image appear first, thus increasing the likelihood of Facebook users visiting your site after seeing it. By giving your prospects a wide range of products, there’s also a higher likelihood of them visiting and finding a product that meets their needs. 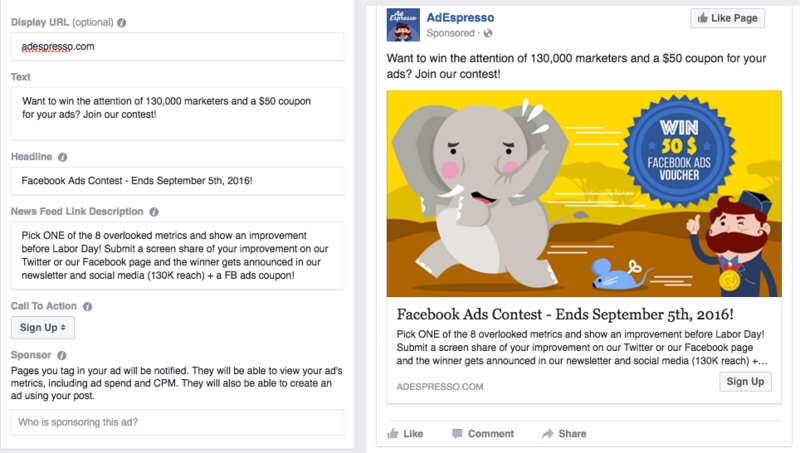 Offer Ads are a quick and useful tool to target those familiar with your brand like Page Fans and previous website visitors. 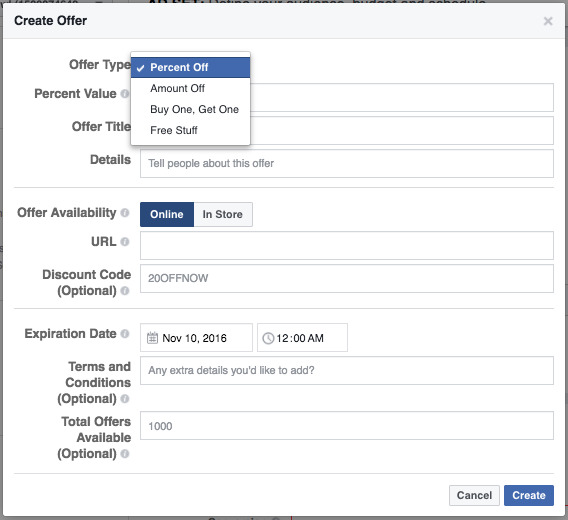 In the above example, Wool & Prince sent out a Facebook Ad offer for 1) a special event (Cyber Monday) and 2) a coupon code to redeem only on that day. The sense of urgency combined with the discount is what makes “offer” ads so unique for flash or short-term sales. Video Ads are great for both brand awareness and retargeting. Of those that watch your video, you can actually retarget them with further ads based on the duration of the video they watched. We’ll get more into that in Chapter 6. It might seem intimidating, but even an ultra basic video can net you results. 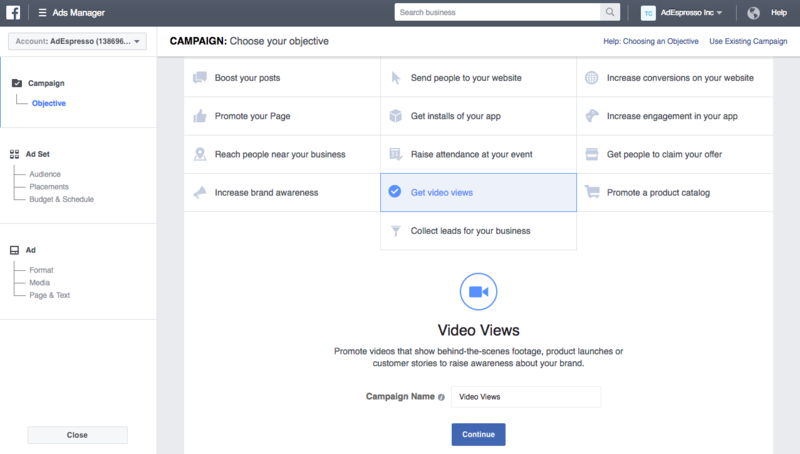 For more on how you can create your own video ads - even on a budget- read our full guide to Facebook Video Ads. It looks like a regular Standard Ad, except when you click on it. As soon as “Submit” is hit, you now have a lead prospect. 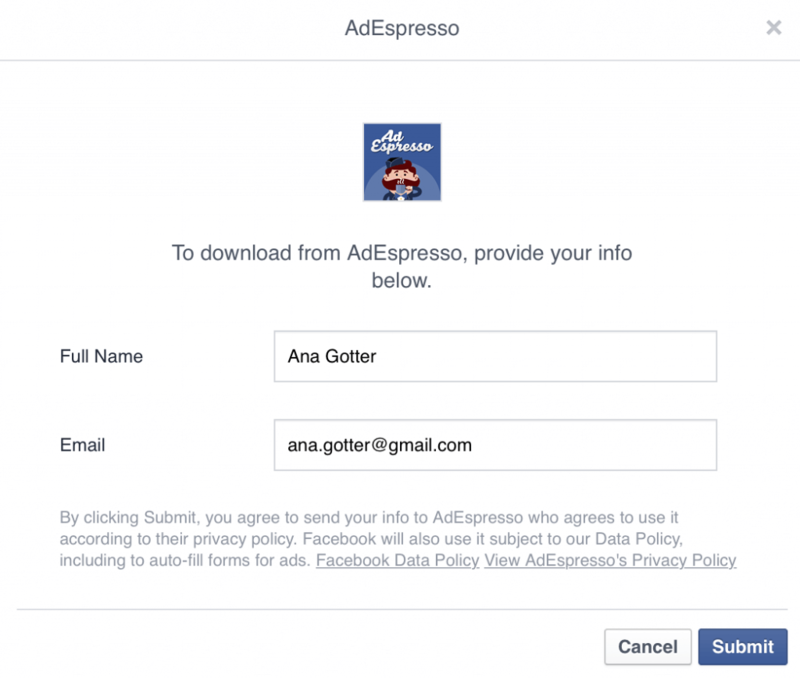 Within Facebook, you’ll have to download this manually and then upload it to your CRM. But with lead ads sync, you can have it so that this automatically syncs with your CRM of choice and follows up immediately with an email to their inbox. 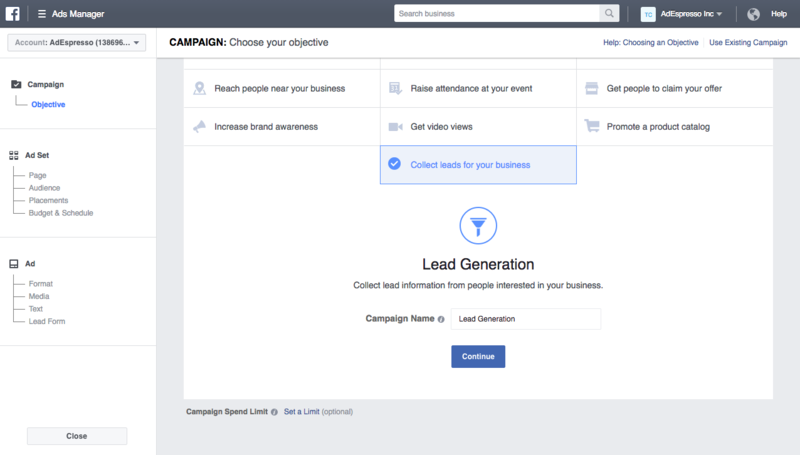 To create a Lead Ad, simply choose the “Lead Generation” option as your objective in Ads Manager or Power Editor. Another great example can be found here. To create a Canvas, you’ll need to go to the Page the Canvas was created for. To clarify, creating the Canvas itself is not in Ads Manager. Click Publishing Tools on your Page. Once the Canvas is created, you’ll be given a unique link. You’ll then copy this link and then go into your Ads Manager. Create or edit Clicks to Website or Website Conversions as the objective for your campaign. In the “Enter URL to promote field,” paste the Canvas URL. Congrats, you have a Canvas ad. If you’re having trouble creating one, make sure to check out our full beginner’s guide to Canvas ads on AdEspresso’s website. 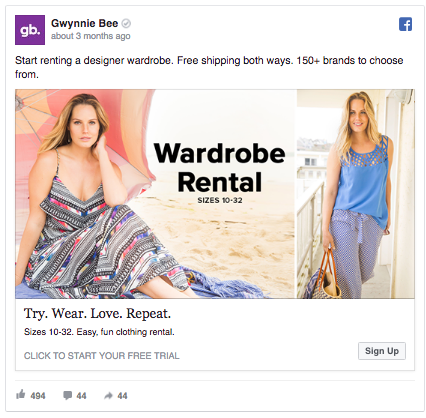 Facebook’s Dynamic Product Ads provide a way to show single or multi-product ads to people who have visited your website. Based on the visitor’s behavior, you can serve different ads to different groups of people based on what they’re interested in. 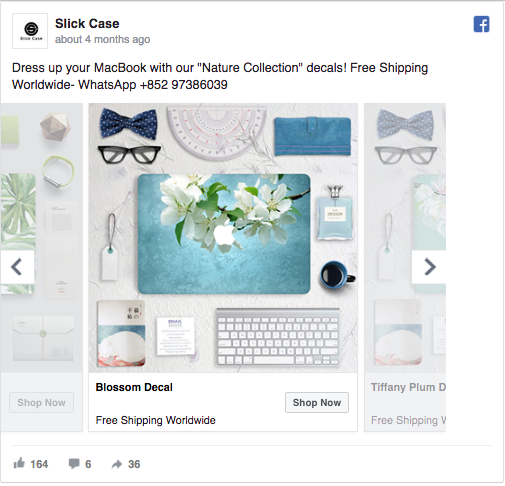 Viewed Content: After customers visit a product page on your website, you can then show them the same product through a Facebook ad. Add to Cart: Cart abandonment happens all too often in ecommerce. 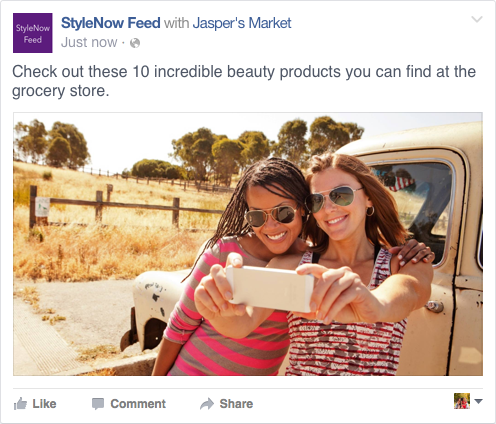 Facebook ads can be used to show shoppers products they have added to their cart but haven’t yet purchased. This ad can provide the final step towards the sale. Product Purchase: Selling doesn’t stop after the first sale. Once the customer has purchased, serve ads for related products, new arrivals and anything else that might fit their tastes. 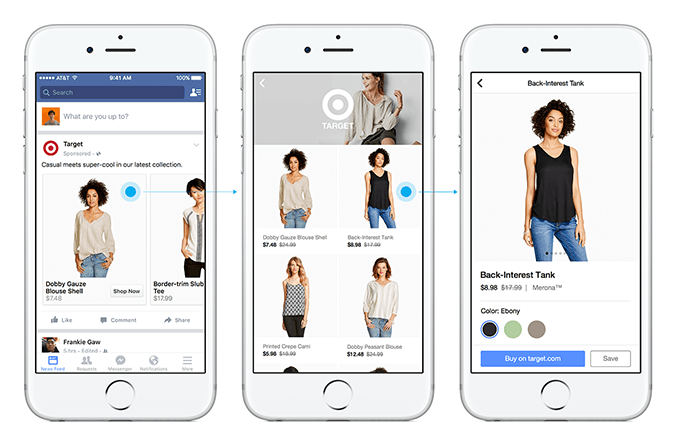 Dynamic Ads are solely based on the data collected from your website, making them a powerful way to connect with shoppers, personalizing the experience with products they actually want to see. With a more personalized experience for your customer, you’re increasing chances of conversion as well as saving yourself hundreds of hours of ad setup. If you’ve ever seen a company apply a “with” tag, then you’ve witnessed Branded Content (or Sponsored Mentions) in action. Essentially this is teaming-up with another ecommerce brand or an “influencer” with complementary products. A major benefit of this ad type is that both you and the brand you are teaming up with can see the results of the advertising effort. For more on Facebook’s policy on this type of content, learn more here. Now with all the ad types in hand, let’s help choose who to target - and how to do it effectively.